Tabernacle Ministries & Prayer Institute partners with the church in teaching strategies that will help the church to become power houses of prayer in which it was intended. Tabernacle Ministries & Prayer Institute is a ministry on the move established in 2015. Our goal is to empower the church by teaching simple yet effective strategies to engage the whole body of believers in a lifestyle of prayer. In our experience this will lead to changed hearts, which leads to changed lives, which will empower your church to higher heights and deeper depts. The presence of God is always evident in a church where prayer is at the forefront. God's heart is always toward those who seek him dilegently through prayer. As you embark upon these simple strategies get ready for the church to go higher! Tabernacle Ministries & Prayer Institute partners with the church to develop strategies in building a solid foundation for prayer; strategies that are simple yet effective and powerful that will defeat the tactics of the enemy. To reclaim the church, family, community, and our nation through prayer. To promote and encourage prayer so that it becomes a lifestyle for the believer and so that prayer is strategically planned in every church. 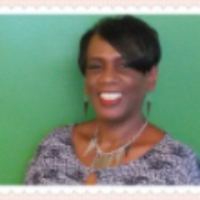 Sondra P. Green is the Founder and Organizer of Tabernacle Ministries & Prayer Institute. God has given her a heart for the Ministry of Prayer and has birthed this ministry through her to serve the church. She has earned a Certificate of Theology from the Interdenominational Theological Center (ITC) in Atlanta Georgia and has earned her Bachelors Degree in Business Management with a concentration in Human Resource Management. She is an intercessor, writer, teacher and speaker. She has written for Prayer Igniters International and Prayer Ideas w hich is a web-based Prayer Ministry that serves the kingdom of God through prayer articles written by a variety of writers with different gifts and experiences. It provides prayer ideas for doing ministry in your church and community and written prayers on various topics to help people get through the different season of life and to enhance their prayer life. She is also a prayer volunteer for Guidepost as well as a prayer event planner and organizer. The power of prayer is multiplied when you offer prayer requests in group prayer. That’s why many people want to know, “How do I start a prayer group? A Prayer Breakfast is a great way to get the word out about your new ministry. Holding a Prayer Breakfast is a creative way to engage the body of Christ in prayer together. Here are some . There is so much going on in the world today. The only way that the church will be able to stand and take authority over the strongholds that have been set up against it and the things that are to come, is through prayer. The word of God is alive. It has power! Through the word all creation was made. Hebrews 4:12 "The word of is alive and active and sharper than any two-edged sword; able to divide soul from spirit and joint from marrow." Aim the word as with a bow and arrow and it goes to the intended place and combats the plans of the enemy. Put no confidence in the flesh but let our confidence be in God. Once we begin to put strategies in place for war against the enemy then we will be able to reclaim our families, our church, our communities and our nation. 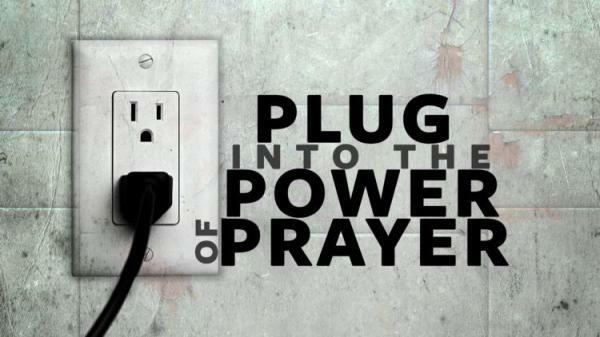 Plug into the power of prayer and watch God work!